Farhan Enterprises – Manufacturer and Exporter of Himalayan Rock salt , Natural and Crafted Lamps. 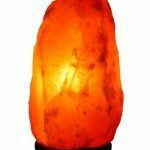 Manufacturer and Exporter of Himalayan Rock salt , Natural and Crafted Lamps. Natural Himalayan Salt Crystal Lamps are hand crafted from individual salt crystals to create unique, innovative lighting units. Renowned for their warm, relaxing glow, Salt Lamps are welcoming additions to any room of the home or office. Each lamp is made from a hand picked, 100% Natural Himalayan Salt Crystal, retaining the natural beauty of the salt. 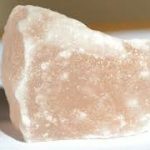 Himalayan salt contains all the minerals and trace elements of which our bodies are made. Natural salt is crucial for maintaining vital functions in the body. Himalayan salt has no preservatives or additives. Them Himalayan Natural Crystal Salt Lamp can be a good addition to your home decor while supplying it with added harmony. "Salt Lamps" a natural gift from the Himlayan Crystallized Salts are "Natural Air Ionizers". These lamps produce Negative ions than can help you feel tranquil and relaxed. Salt Lamps effectively and naturally purify and improve the quality of the air we breathe, thus are the real "Vitamins of the air". 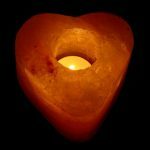 Salt Lamps and Candle Holders are hand crafted from 100% pure Himalayan Salt crystals, and are truly fascinating, multi-functional works of art. These stunning, organic lighting fixtures produce earthy, soothing lighting that helps create a tranquil atmosphere in any room of the home, or office. 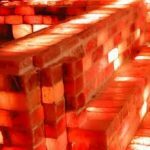 We are the manufacturer and exporter of Himalayun Rock Salt Natural & Crafted Lamps, Natural & Crafted Candle Holders, Salt Tiles & Bricks of all sizes. Farhan Enterprises 2016 | All Rights Reserved.